There are two types of painting that always seem to be harder than the rest: black, and white. These two colors will test every trick in the book. They show every brush stroke, amplify every flaw, and a less-than-professional finish can be spotted a mile away. 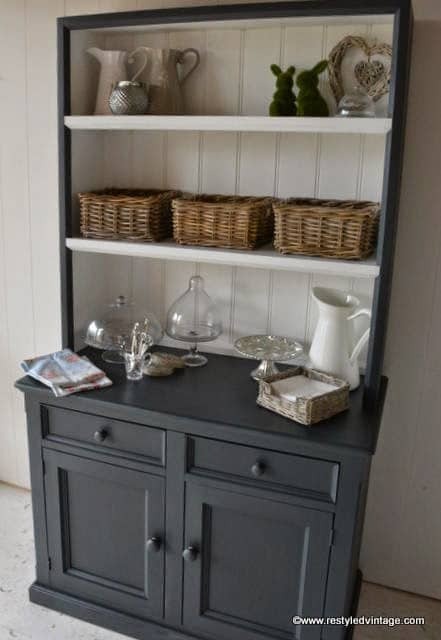 This time, I decided to open the vault of painting secrets and show you how to get that perfect, professional look for all your dark furniture projects (hint: most of these work on white furniture too). So, let’s get started. 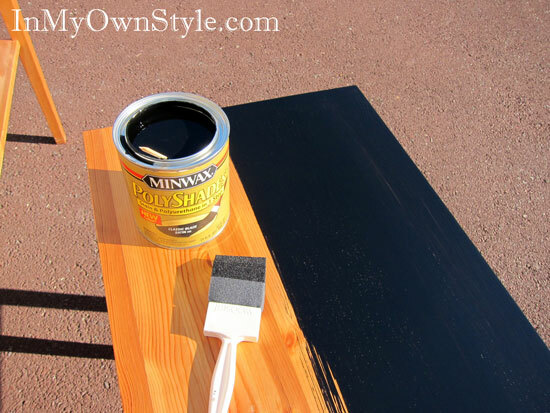 Choosing paint over stain (or vice versa) is the first step to getting the look you want. 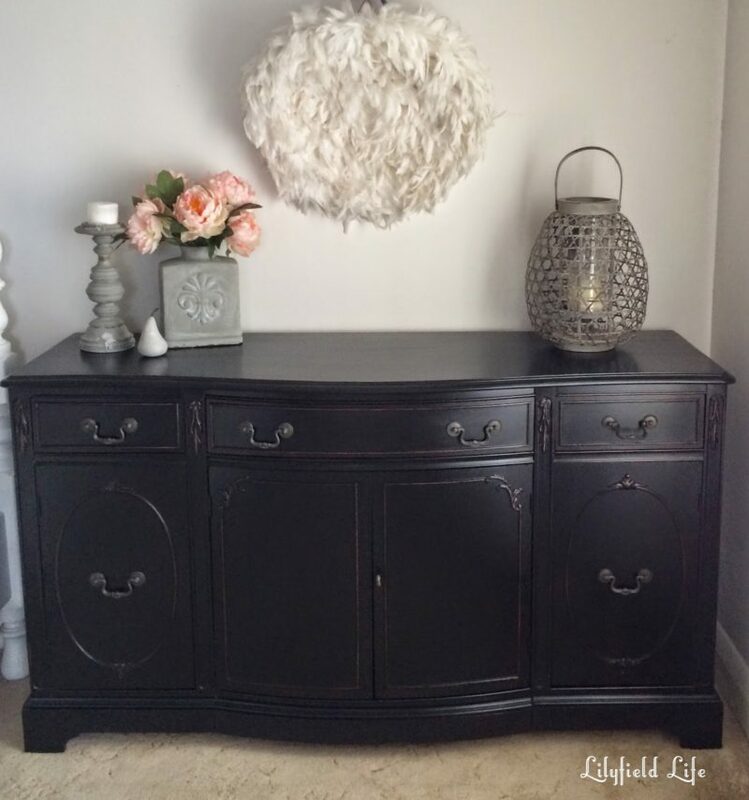 Black paint vs. black stain require different techniques, different supplies, and create two different looks. Paint creates a thick and heavy finish. Stain is thinner and somewhat sheer (although several coats can create an opaque look). Stain is both color and polyurethane, which is more durable than acrylic paint. Stain is oil-based, and must be cleaned up with paint thinner. Sometimes you have to ask the paint counter to tint it for you, but usually it’s pretty easy to get tinted primer that is grey. White primer will always show through, especially if you plan on distressing your piece later. 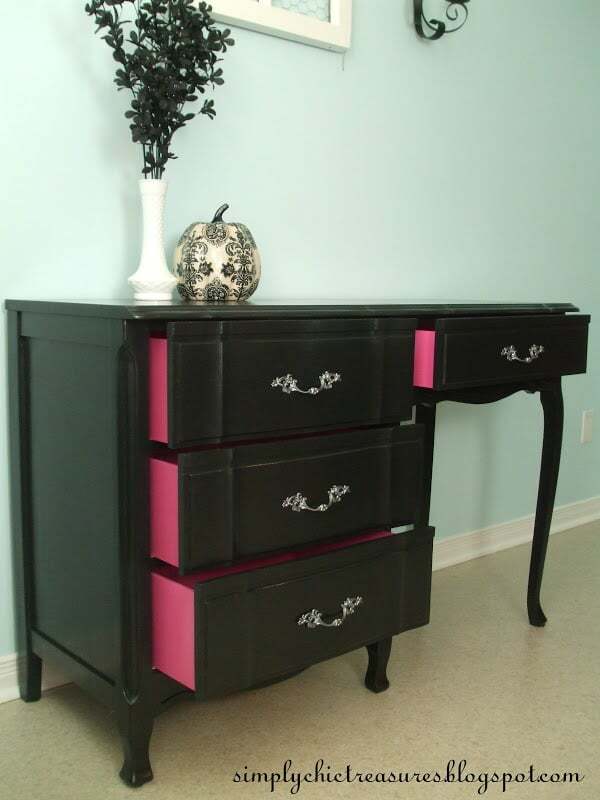 Go with stain, semi-gloss, or chalk paint. Matte black is nearly impossible to use without showing wear almost immediately. A gloss black paint shows every single brush stroke and imperfection, so unless you’re painting is flawless (in which case, you can stop reading now), then avoid matte or high gloss black paint. With black paint (or black stain), you need to sand your piece first. No if’s, ands, or buts. After the first coat is completely try, lightly sand again with a fine sanding pad. This will ensure that the paint or stain is making good contact with the furniture, and you won’t find bubbles, peels, or scrapes later on down the road. 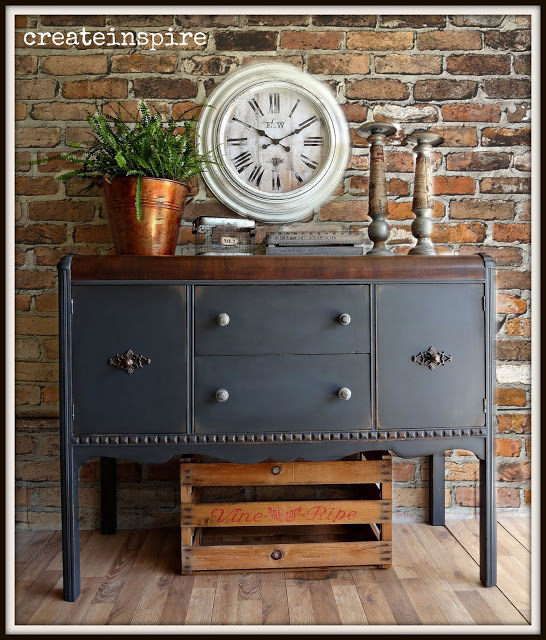 Dark colors can be difficult to evenly match across a large piece like a table or dresser. Paint in bright light so you can easily see spots that are uneven or need a little extra touch up. That’s it, now you’re armed and ready to help your favorite piece of furniture slip into her little black dress and look fabulous!